Living in France, one might think that I have the very best when it comes to food and I wouldn’t crave anything else. And yes, we have amazing food here! 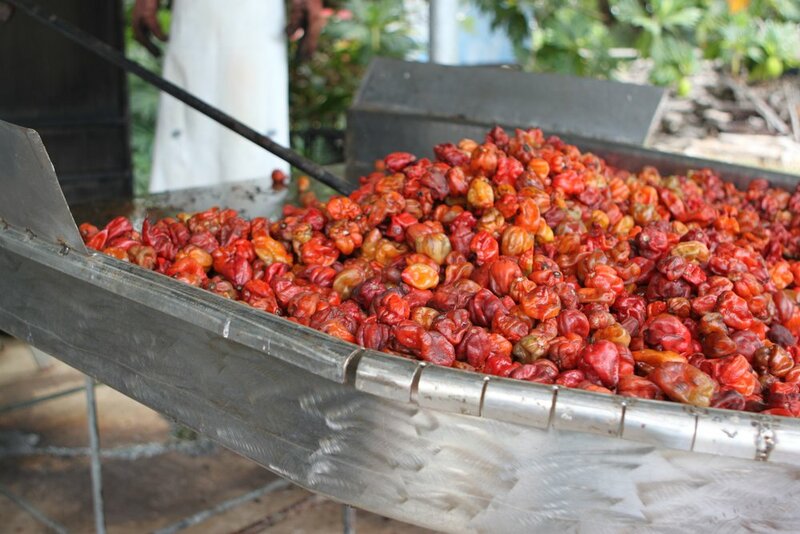 However, to be honest, I desperately miss Belizean food with its incredibly fresh produce and spicy zing! In my little kitchen in the Alpes, I try to recreate my favorite dishes. However, this challenge is accentuated by living in a small mountain town as international ingredients aren’t available locally. But…I search- sometimes I find- and continue to practice. What dishes do I miss?? Stewed chicken and rice- such a simple dish yet my mouth waters just thinking of it. Honestly, the chicken in Belize is just more flavorful! And slow cooked on a fogón- a wood-fired stove…yes, serious comfort food. Spiny lobster- after ALL the lobster I had eaten while living and working there, I never thought I’d want to eat another again! But now- bring it on! Over the grill with a fresh salsa- yes, I could definitely eat more! Conch ceviche- YUM! With fresh tortilla chips this is like a bit of heaven. Fresh and spicy and very colorful. I so miss this right now! Tacos- the tiny little handmade tortillas with a bit of pork or chicken and seriously spicy habanero sauce. Order a dozen and they are the perfect breakfast! Belizean salbutes- little corn dough patties fried and piled high with chicken, cabbage or sometimes coleslaw, tomato and jalapeño. Absolutely amazing! Tamales- a slight twist on what you may know…these little gems are wrapped in plantain husks. Often, I would buy them from a gentleman who biked house to house…so wish we had that here! Fried plantains- I didn’t realize until this week how much I missed these until I found them in a store just over an hour from my house! I returned home and cooked them up to go alongside dinner for some friends and had seriously happy guests! And, of course, a cold Belikin goes very well with all of these dishes! So, now that I’ve tempted you all, head to Belize and decide for yourself your favorite dishes. As for me- I’m headed south to the store tomorrow so I can attempt another Belizean feast...but really, I just need to get myself on the plane and head back to Belize! Fresh and colorful conch ceviche. Belizean spiny lobsters on the grill- YUM!